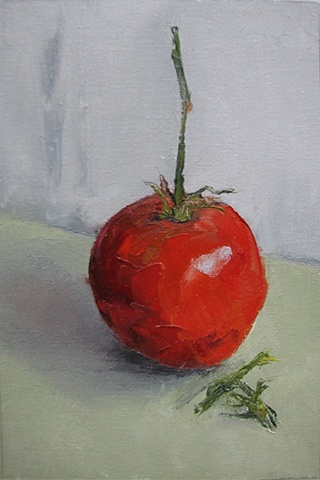 This alla-prima painting is of a heirloom tomato. Painted from life in a single session and was a joy to paint. I used just a palette knife to for this painting, no brushes. Painted on a Ray-Mar panel and is unframed at this time.